Responsibilities at home, that is. Try not to think about work, chores, bills, and stuffs like that too much while on travel, as it makes you not be in the moment. Better set it aside for a vacation bit, then come back to it once on the plane back home or before going to sleep once the day ends – be responsible enough in fulfilling your role in that travel moment: focus first on the travel happenings and have fun. Even if you are broke or if you have limited buying power, there are still means and tricks for you to be lavish and superfluous when traveling. It’s just a matter of perspective and doing some research on this part so that you are prepared with all the needed and all the wanted expenses. So if we speak of a posh traveling experience or even talk about generous souvenirs or goods to take home, be sure to do your homework on frugality and smart deals. There shouldn’t be strict timing or stick to the “schedule-or-else” principle when traveling, because really travel should also be about enjoying the moment; you won’t be able to fully enjoy a moment if you are constantly nervous or diligently conscious about time. I mean, yes time is important, but come on – flexibility is the key. Be sure to be able to relax, let go of the time and get stuck in the moment – feel it, enjoy it. Give INNNN, try tasting the new delicacies found on that place. Let your stomach be fully engaged in absorbing the good food and excellent drinks available. Diet plans are for stiff people! hahaha okay seriously, unless you are sick or you’re an athlete, you shouldn’t still be on a diet when on a vacation trip, because it ruins your chances of being able to enjoy good food to the fullest. Oh and btw, Forgetting Diet is different from Remembering Gluttony! Of course the most important thing to remember is to forget FEAR. The only thing we have to fear is fear itself. Be brave enough to try new things; push yourself further when you feeling tiredness creeping in; be courageous enough to lead and make the most out of the traveling achievement. Fear: False Evidence Appearing Real. 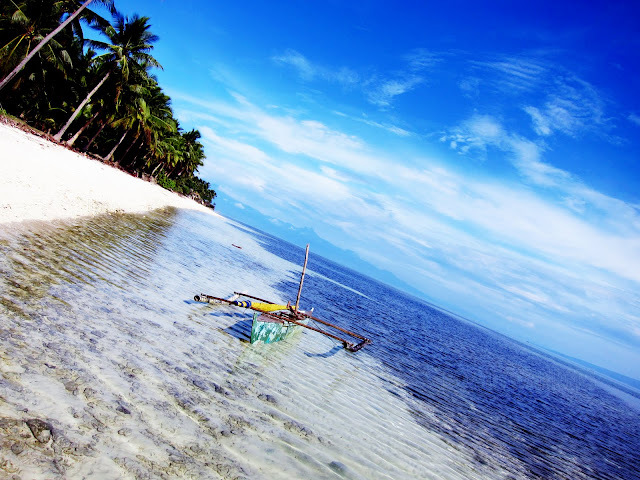 It is :) hidden paradise somewhere in the PH, you should go there too!